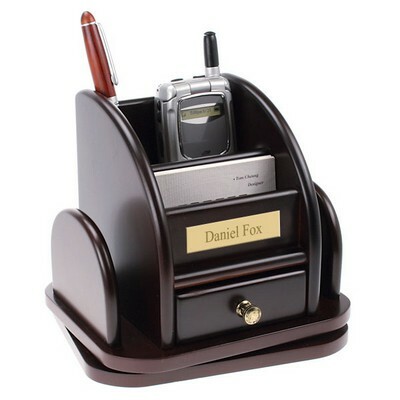 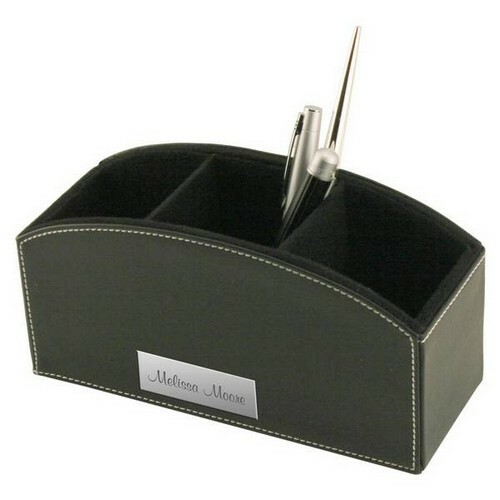 Your business associates, colleagues, and corporate staff will be truly impressed when you select our distinctive black leatherette desktop caddy for recognizing them. 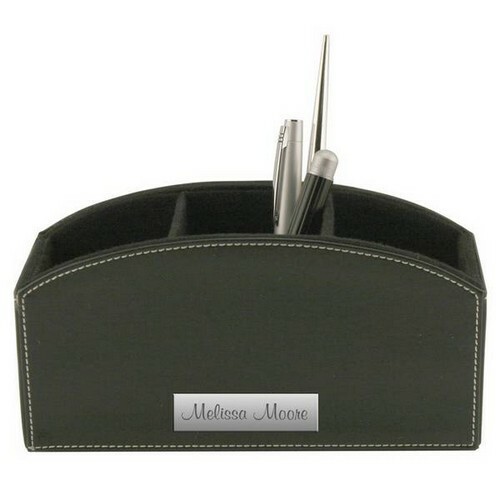 Desktop caddy in black leatherette finishing features distinctive white stitching for added modern sophistication. 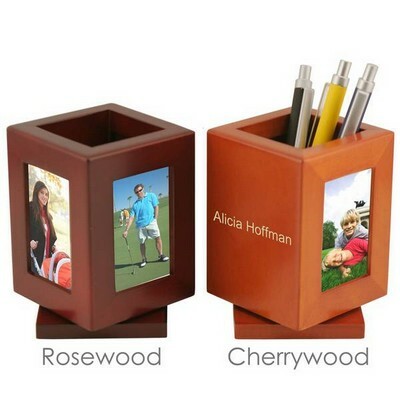 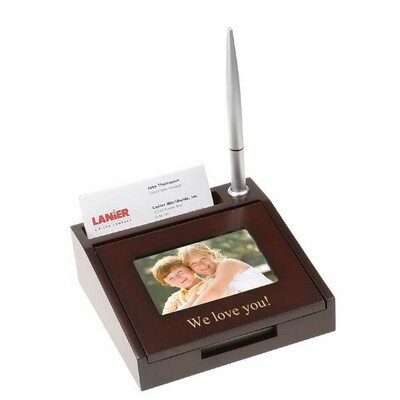 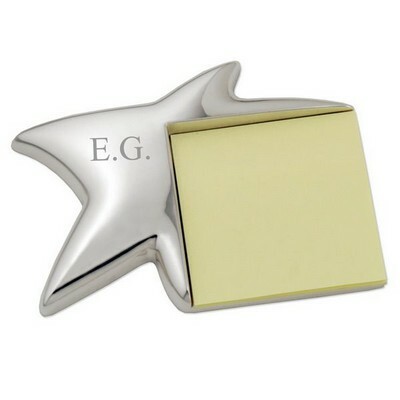 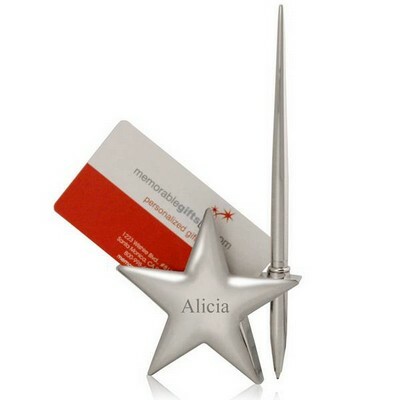 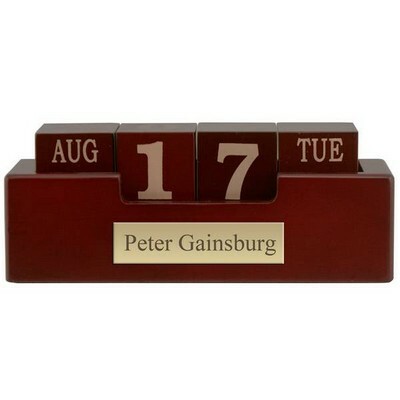 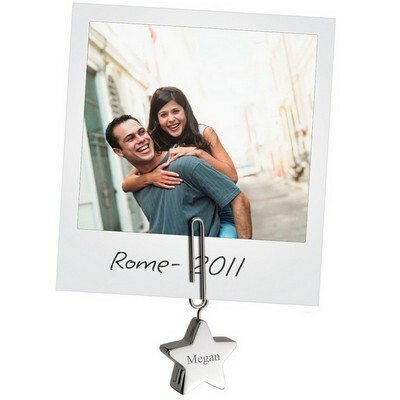 Personalize this unique business gift idea by adding recipient's names or initials, or your company name or corporate logo for a dramatic concept in an engraved desktop caddy. Black leather desk caddy with white stitches is 8" x 3" x 4" in size and will create a lasting memory of your thoughtfulness and generosity. 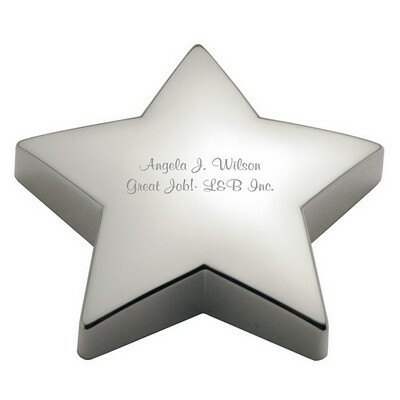 You can earn 37 MG Rewards Points on this product! 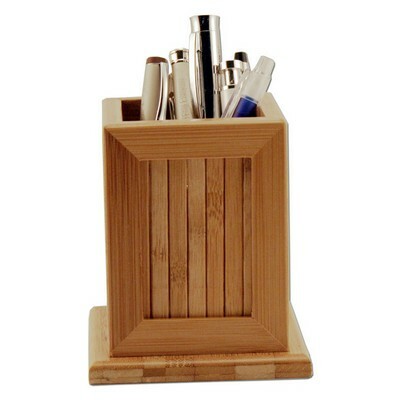 Comments: I keep a lot of different pens and markers on my desk and needed something larger than a pencil cup for my desk. 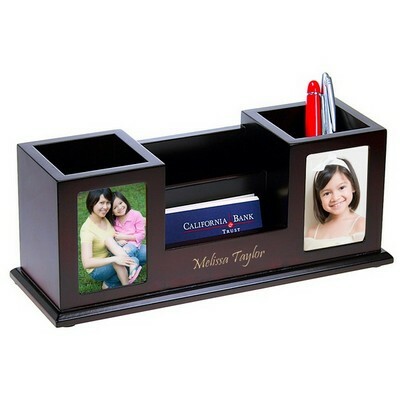 This caddy has three large compartments and holds all my stuff, and it looks great on my desk. Very pleased.